Tidewater Community College has recognized five of its own with annual special awards that honor the quality and achievements of faculty and staff from across the college. Linda Williams, professor of business management and administration, received this peer award established by the Faculty Senate to recognize teaching excellence. Williams, a resident of Kill Devil Hills, N.C., has become the face of TCC’s textbook-free Z-Degree in Business Administration. As the faculty lead, she has been featured in numerous articles and television interviews about the cutting edge program, which enables TCC students to earn an entire degree while spending zero funds for textbooks. 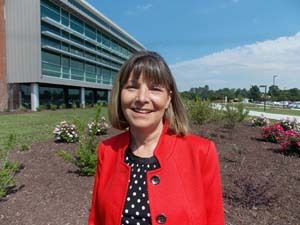 Williams, who has roots in industry, has been teaching at TCC’s Chesapeake Campus since 2009. She is the daughter of an entrepreneur and she says that spirit stuck with her. “I’ve owned several businesses and worked as an industry consultant for some large firms, from Sara Lee to DuPont to the U.S. Coast Guard. And those experiences prepared me to present business subjects with a real-world twist,” she said. Williams said that the Z-Degree is her greatest professional achievement. She credits the faculty team, along with Daniel DeMarte, vice president for academic affairs, and Kimberly Bovee, director of planning and accountability, for their dedication to the project. Elizabeth Briggs, instructor of communications, received this award in recognition of her innovative teaching style, as well as her willingness to serve her campus community. The Chesapeake resident is the faculty advisor for the Chesapeake Campus chapter of Phi Theta Kappa, the honor society for two-year colleges. In this role, she shares her time and energy with students during regular campus functions, and provides administrative support for the organization. She also facilitates and chaperones travel to regional and national student leadership and academic conferences. Briggs also serves as the advisor for the Chesapeake Campus student Bible study. 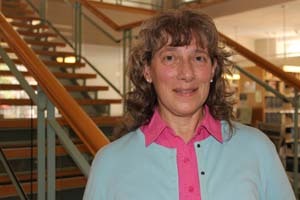 Anne MacConochie, a long time mathematics instructor at the Norfolk Campus, was selected by her colleagues as the outstanding adjunct instructor. The award is given to TCC faculty members who teach part time. MacConochie, a Norfolk resident, teaches Math Essentials, developmental math courses that prepare students for college-level work. To facilitate student success in the one-credit courses, the Norfolk Campus offers Math Essentials in clusters, enabling students to move from course to course seamlessly. As a cluster instructor, MacConochie teaches four courses simultaneously. She moves from student to student, helping them work their way through each class. To do so, she manages four different syllabi, four different rosters and four different classes of students – all at the same time. In addition to demonstrating teaching excellence, MacConochie regularly shares ideas with faculty and deans to improve the developmental math process. Interested in professional development, she stays current by attending workshops and presentations on related math subjects. Steve Litherland received this award from his peers in TCC’s Administrative Association. 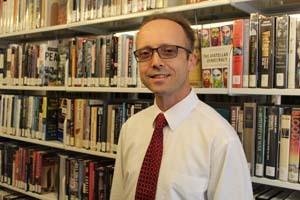 He is the associate vice president for TCC’s libraries. Litherland provides direction enabling TCC librarians to contribute to academic initiatives, including open educational resources (OER), assessment and information literacy. His support of OER was integral in TCC establishing the textbook-free Z-Degree. A Norfolk resident, Litherland encourages and supports professional development of library staff and is currently implementing a comprehensive review of how well the library information collections support all of the programs at the college. In addition, he holds multi-day training sessions to develop the skills and leadership abilities of his staff, bringing in speakers from various areas of the college to foster communication across departments. Litherland is a TCC alumnus and veteran of the U.S. Air Force. Toni Dixon was recognized by the college’s Classified Association for her leadership in supporting the college’s vision and core values. 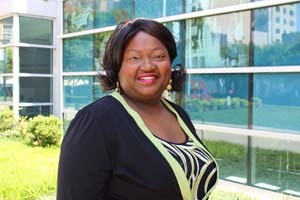 Dixon serves as the administrative assistant to Dean of Student Services Emanuel Chestnut on the Norfolk Campus. Through her work, she exemplifies leadership in community-building, advocacy for educational excellence, promotion of social justice, and the advancement of cultural awareness. 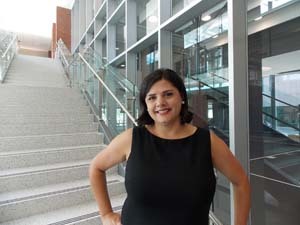 She is chair of the Norfolk Campus Classified Assembly and a member of the Virginia Community College Association Black Concerns Commission and American Association of Women in Community Colleges.